An "arresting . . . bracing and affecting volume" (Booklist) that "brims with curiosity and cosmopolitanism" (Publishers Weekly), Color Me English was hailed in the Guardian as one of the best books of 2011 by Blake Morrison. This compilation of essays from award-winning author Caryl Phillps is "a polymorphous delight that always retains at its core the notion of identity: how it is constructed, how it is thrust upon us, how we can change it" (The Independent). A bold reflection on race and culture across national boundaries, Color Me English includes touching stories from Phillips's childhood in England; his years living and teaching in the United States during the turbulent times of 9/11; and his travels across Europe and Africa, where he engages with legendary writers James Baldwin, Richard Wright, Chinua Achebe, and Ha Jin. 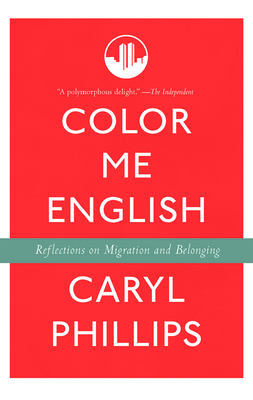 Featured on radio programs including The Leonard Lopate Show and The Diane Rehm Show and covered in Salon, the Huffington Post, and Essence, Color Me English is a stunning collection from Phillips, who "writes wonderfully crafted, deeply meditative treatises . . . that are] always interesting and informative" (Quarterly Black Review). Caryl Phillips is the author of numerous works of fiction and nonfiction. His novel A Distant Shore won the Commonwealth Writers' Prize, and his other awards include the Martin Luther King Memorial Prize, a Guggenheim Fellowship, and the James Tait Black Memorial Prize. Phillips was recently named a 2011 Fellow of the Royal Society of Literature. He lives in New York City.